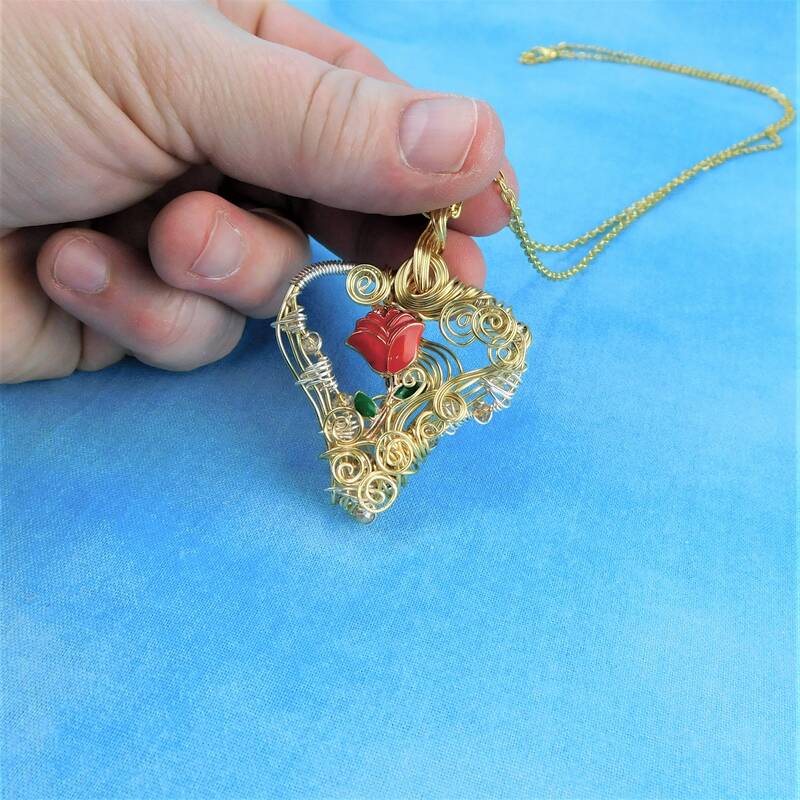 Bright silver plated gold wire and non tarnish fine silver over copper wire, are meticulously hand woven and artistically sculpted into a heart shape, intricately interweaving gold colored crystals within the frame, and embellishing it with a deep red enameled rose . 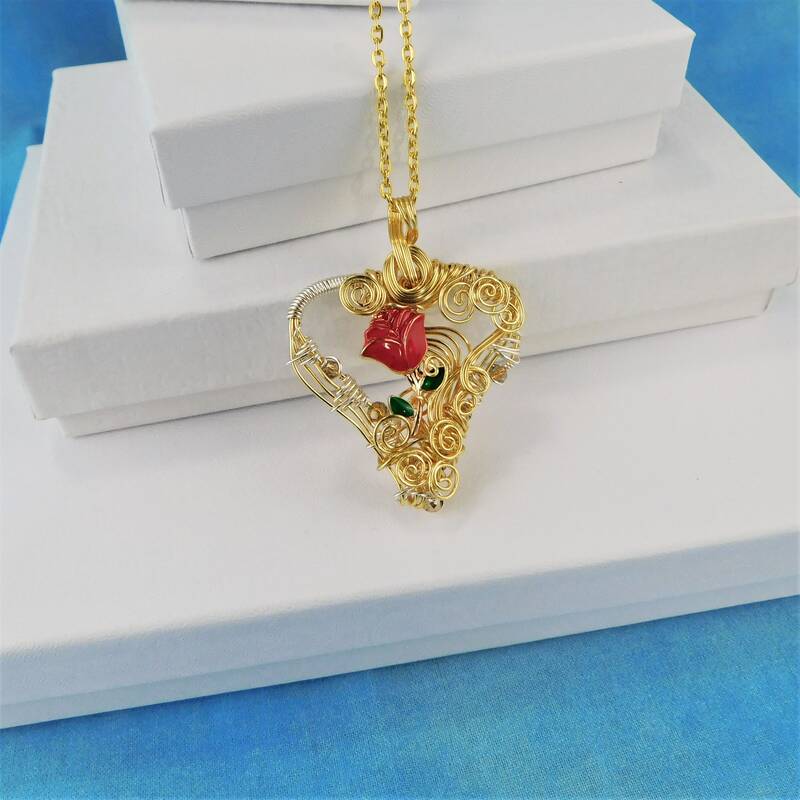 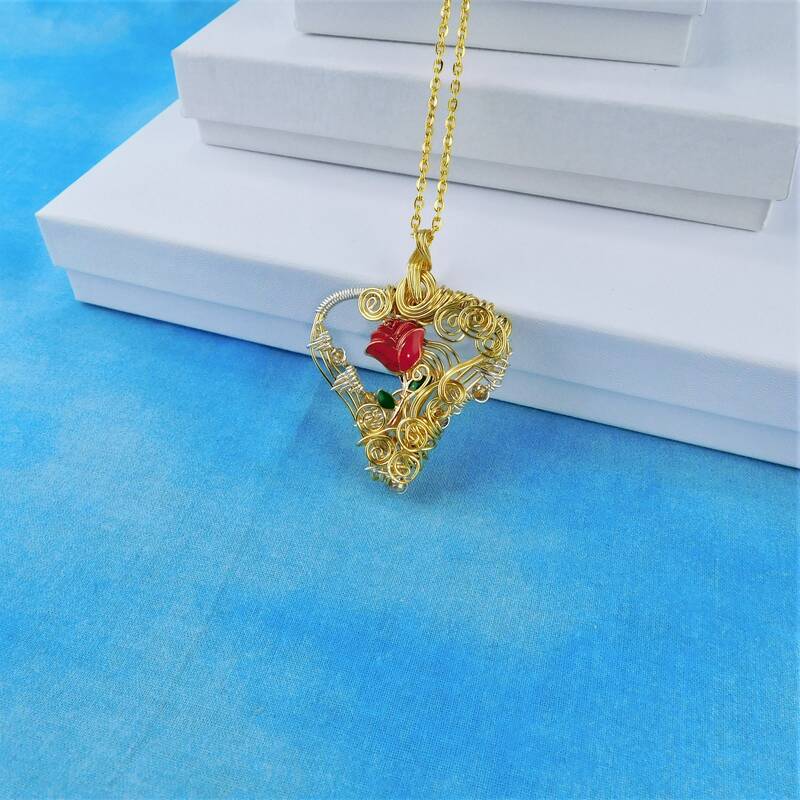 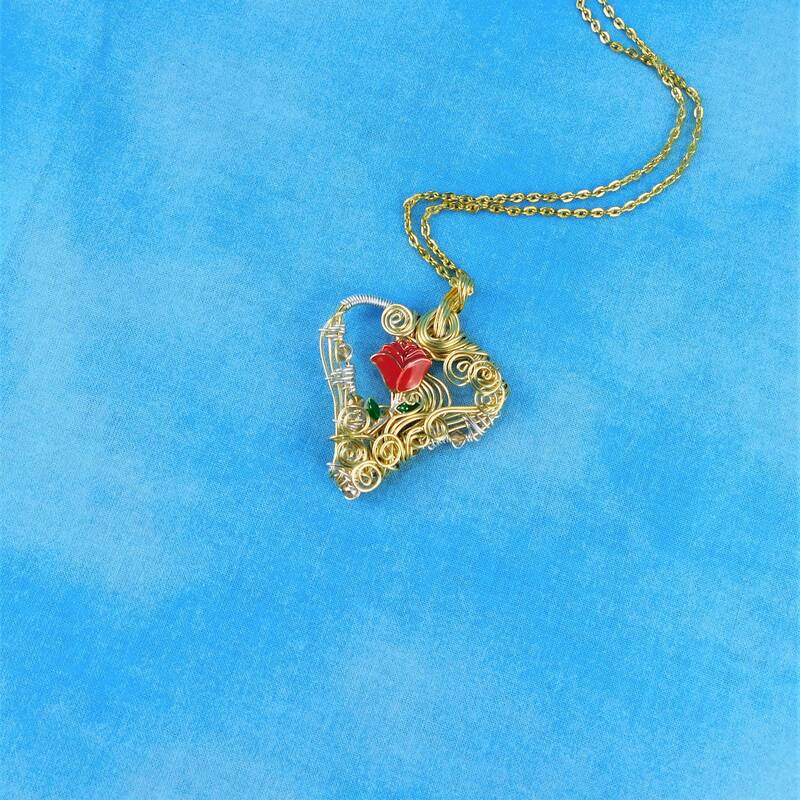 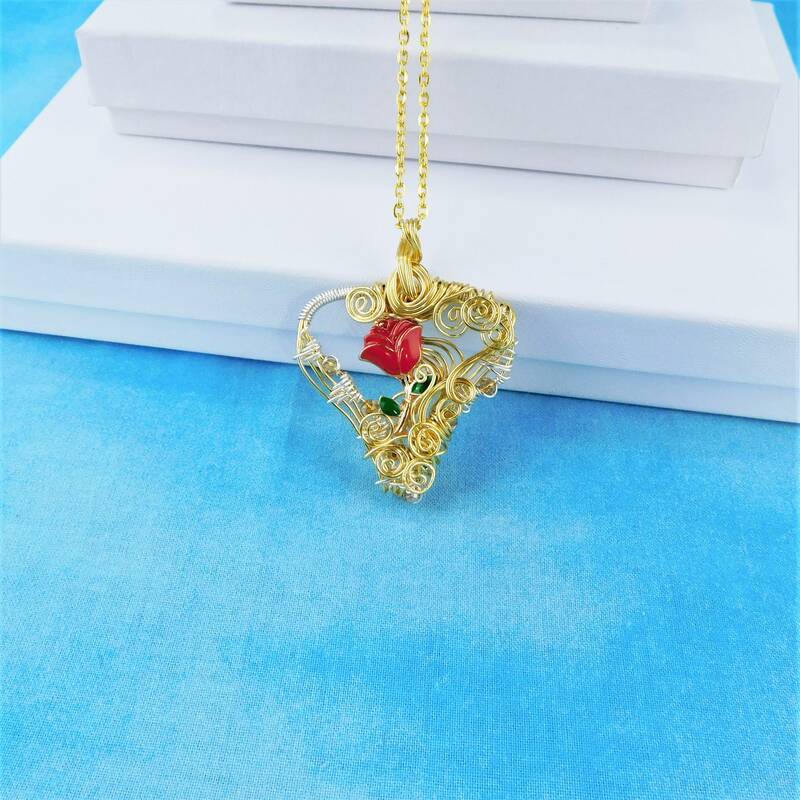 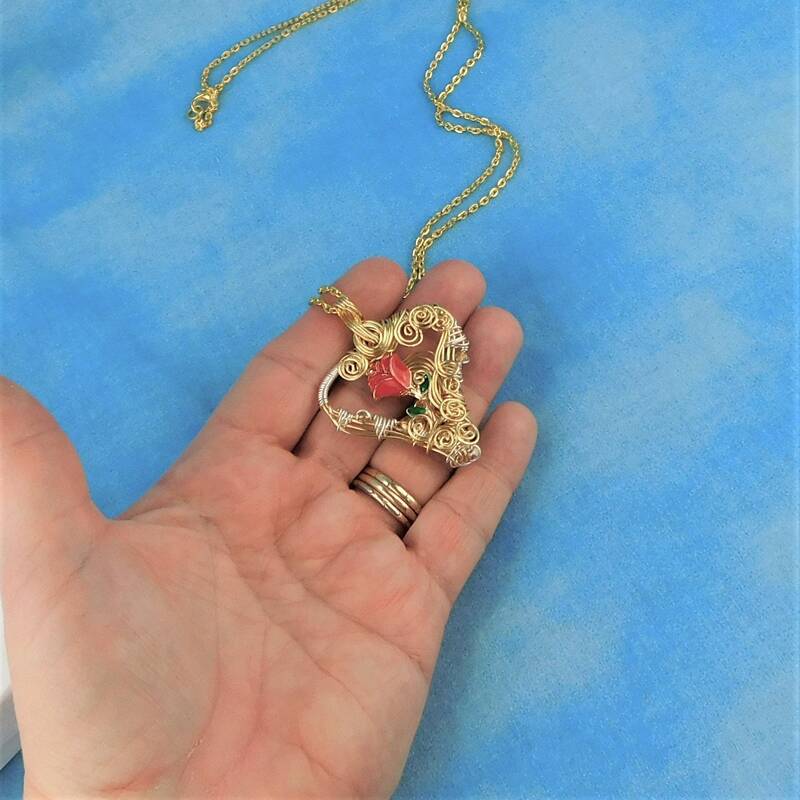 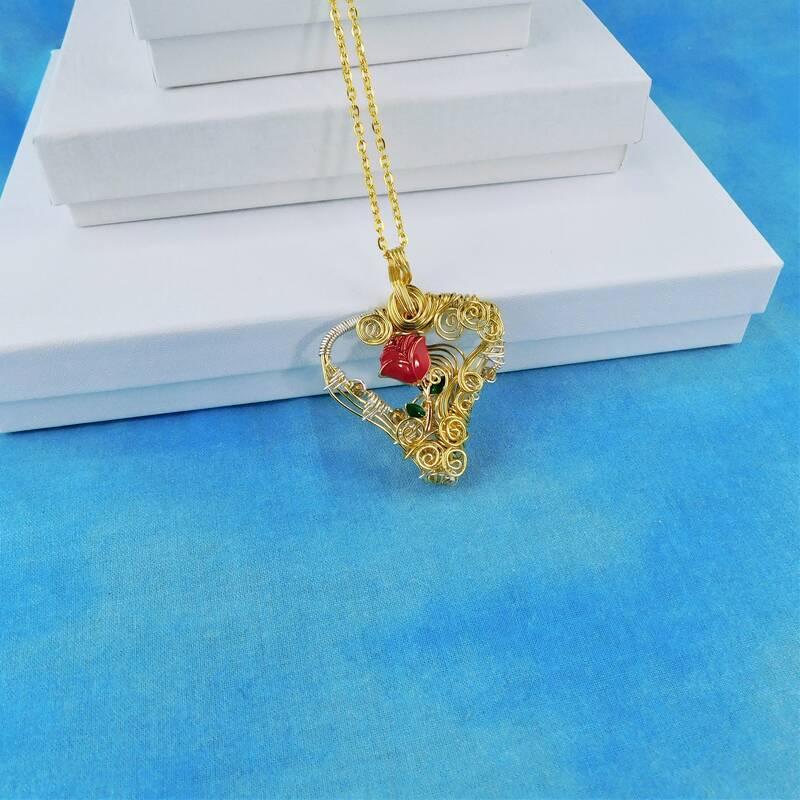 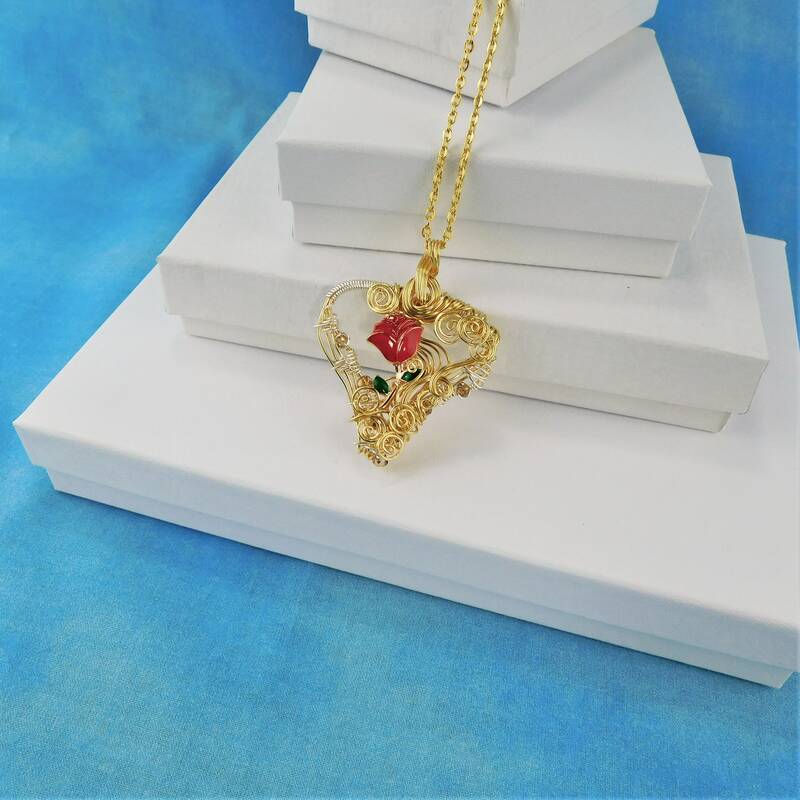 The lacy appearance of the heart creates a romantic, feminine feel, and the deep red rose symbolizes deep feelings of passion, love, or even sorrow, making this pendant an appropriate gift to convey deep feelings, or support for the loss of one who is deeply missed. 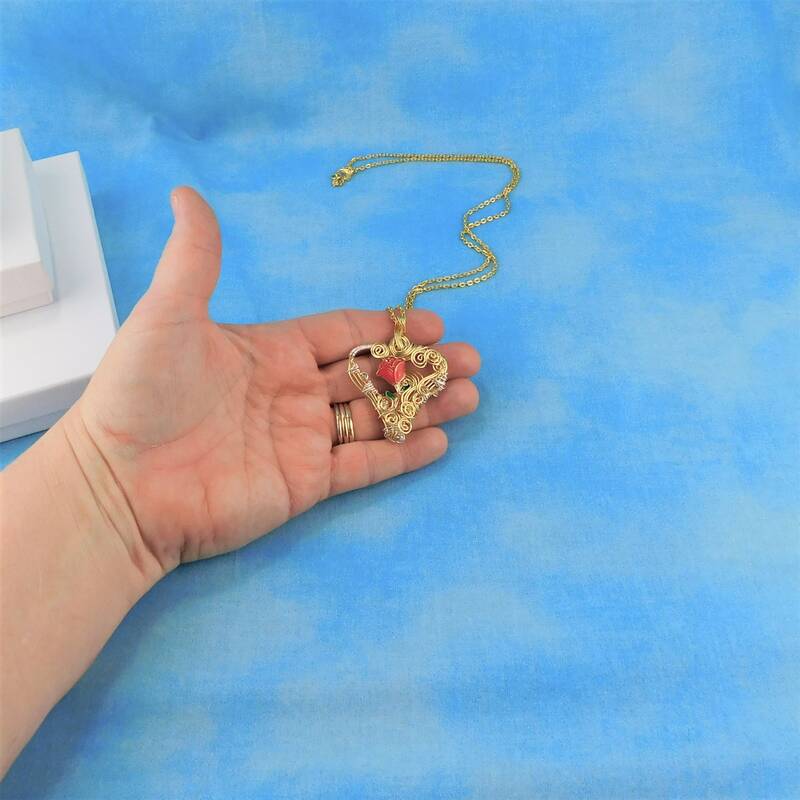 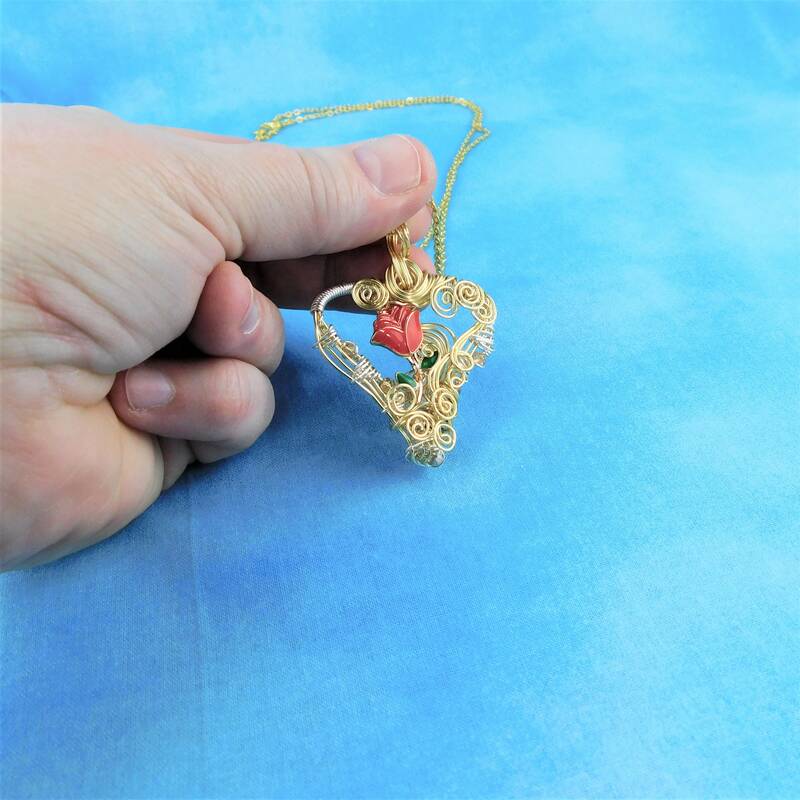 The heart measure 1 1/2 inch long by 1 1/2 inch wide and comes with a FREE coordinating chain with lobster claw clasp, measured to your preferred length.